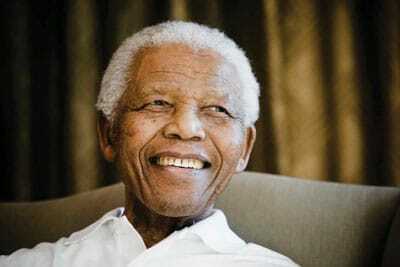 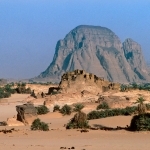 Niger is a country which incorporates both the Sahel and the Sahara. 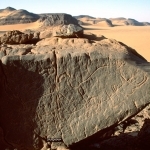 Its south western borders flank the Niger River (Sahel) and its north eastern borders touch the borders of Algeria, Libya and Chad in the central Sahara. 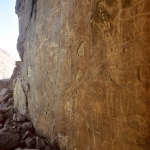 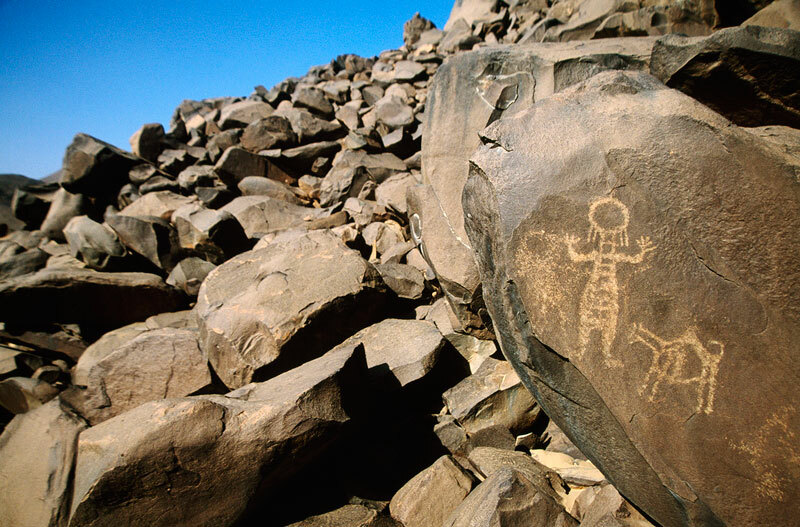 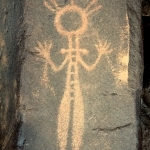 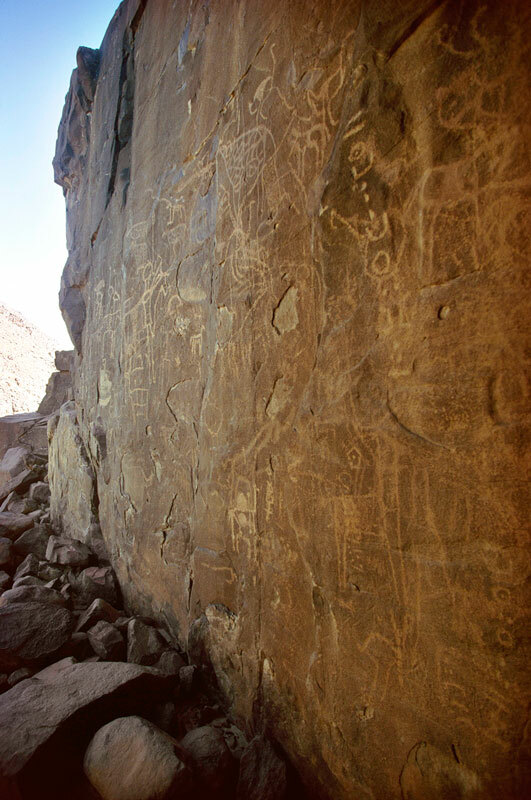 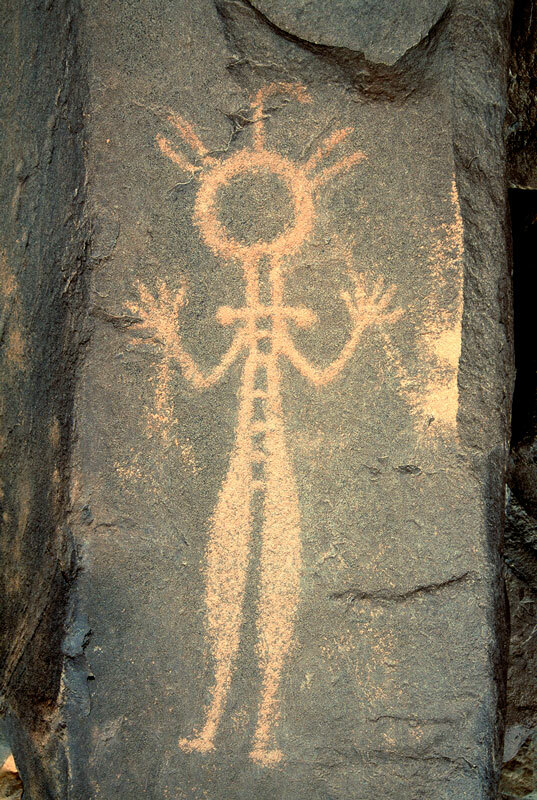 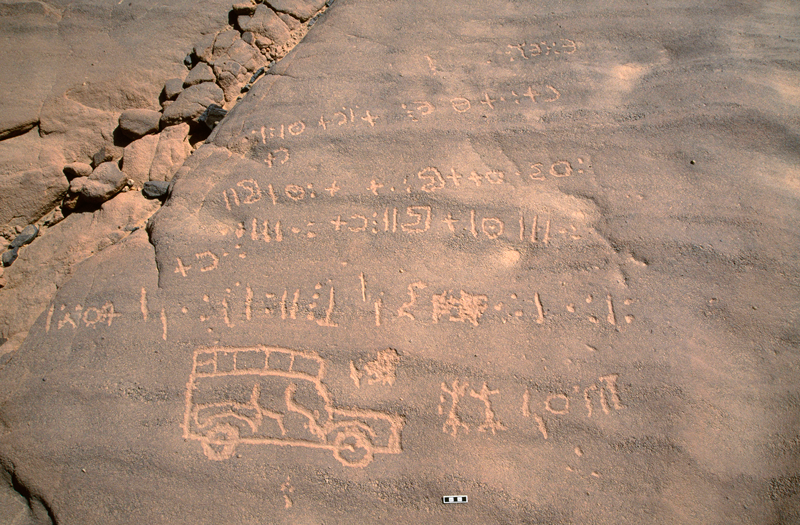 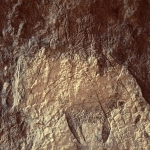 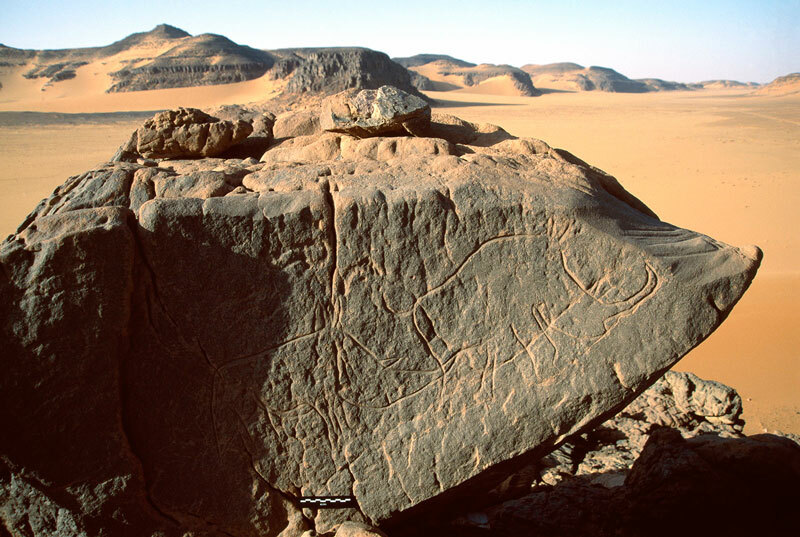 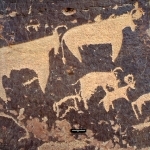 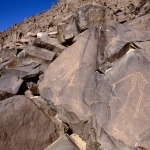 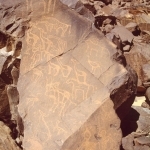 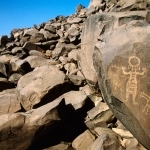 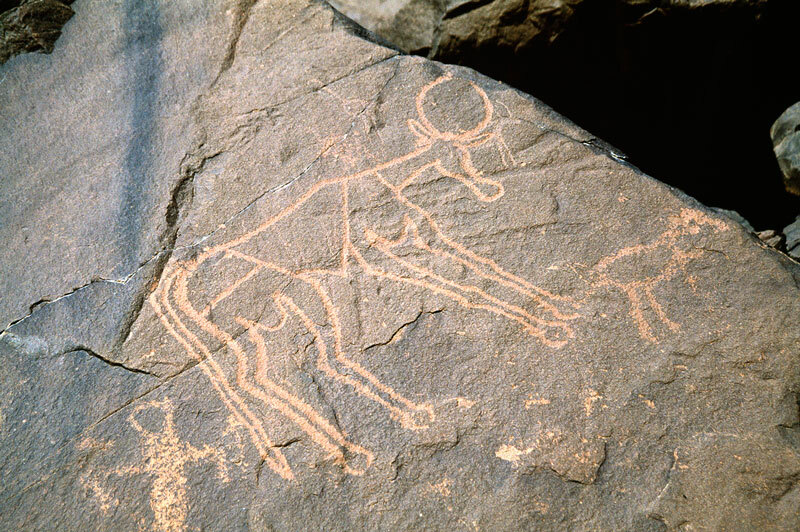 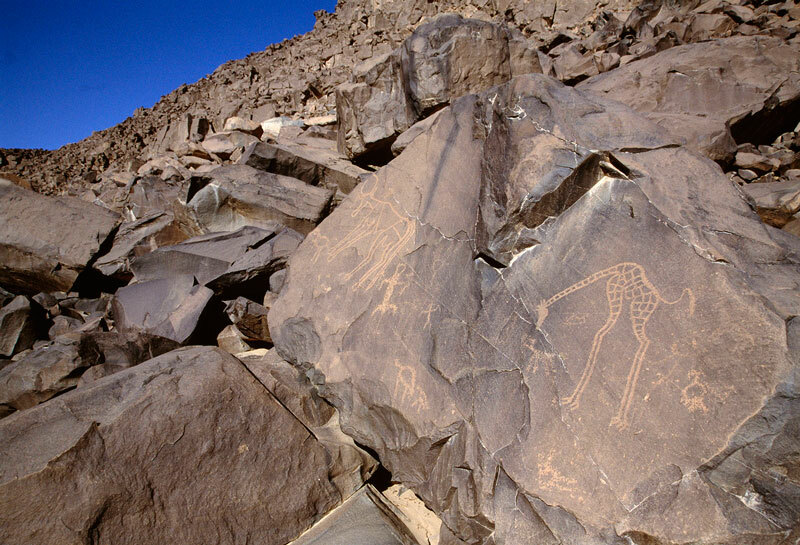 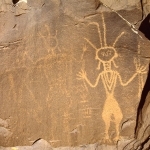 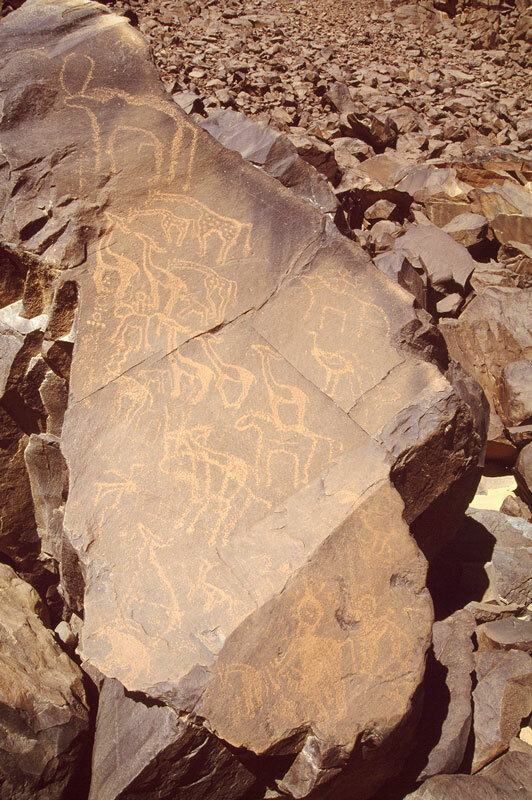 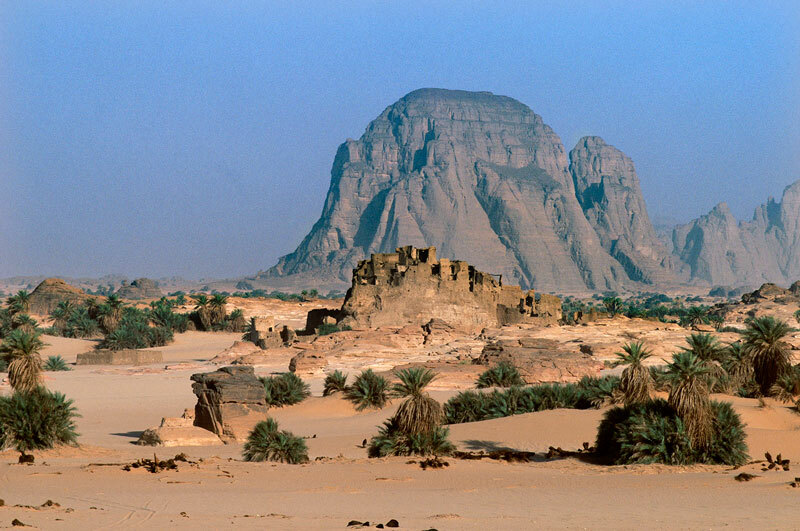 The majority of the country’s rock art is located in this northern area in and around the Aïr Mountains. 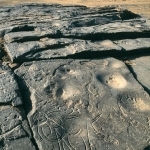 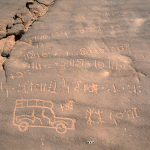 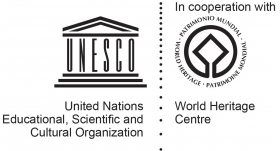 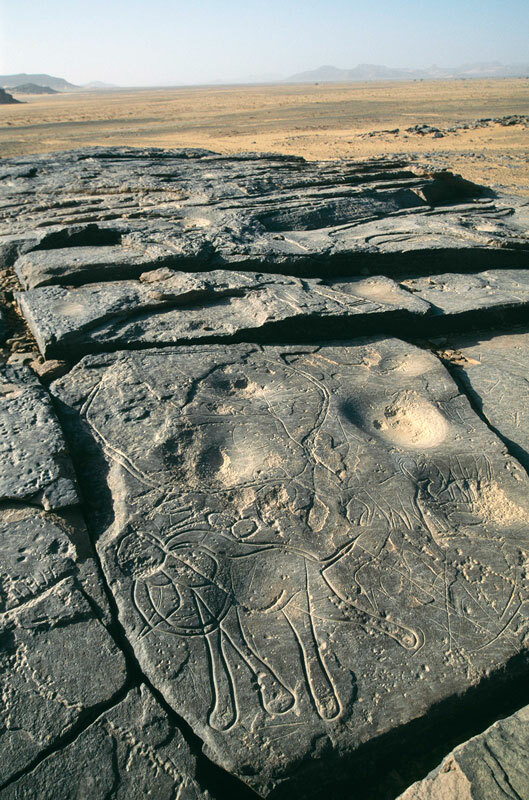 Here, almost all the art consists of rock engravings. 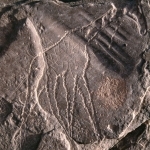 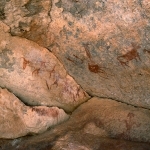 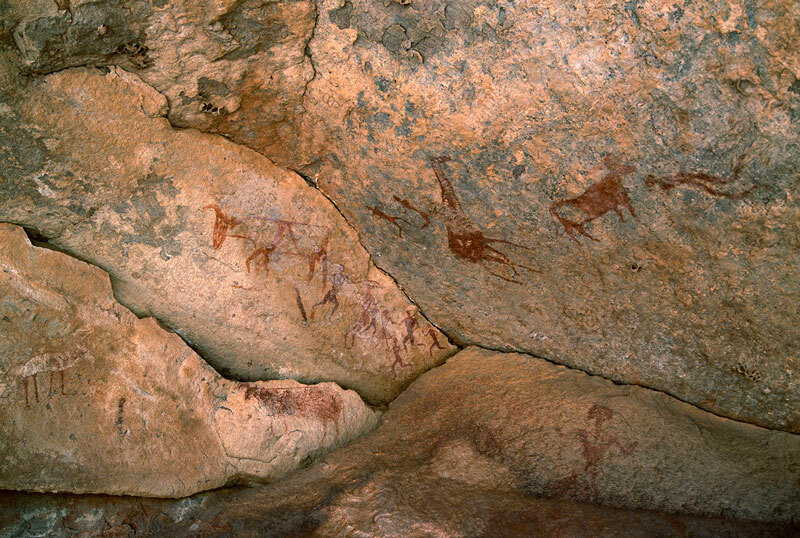 The Djado Pateau in the north east is also rich in art where both paintings and engravings are found. 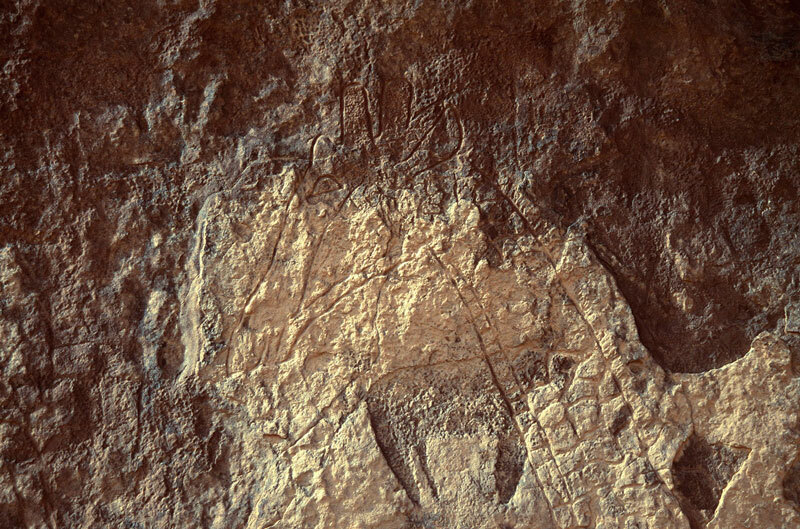 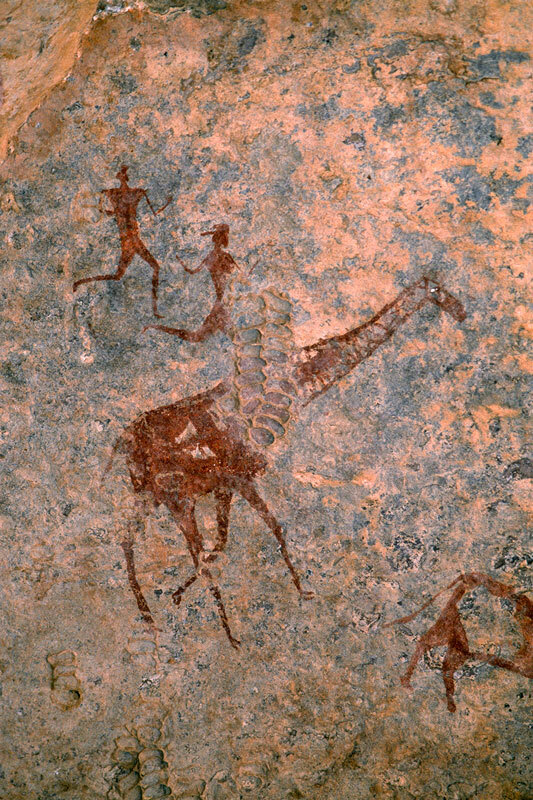 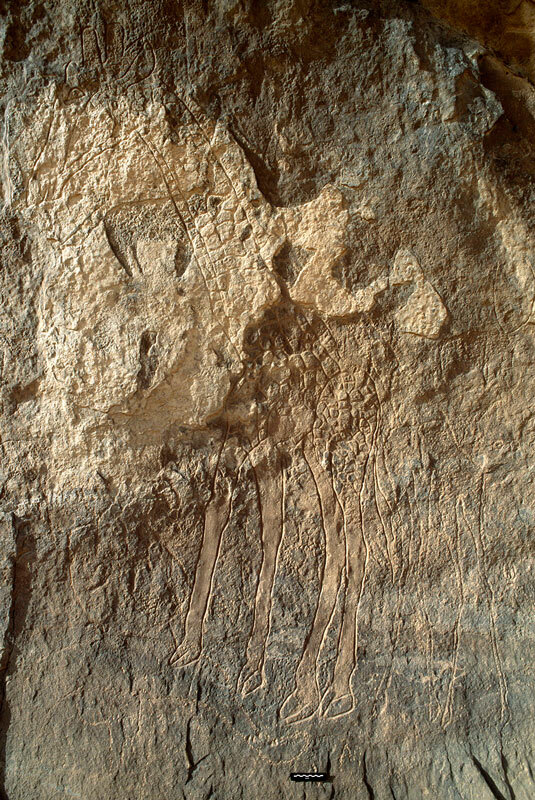 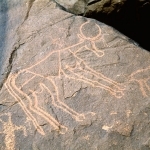 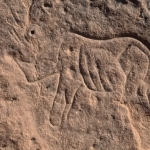 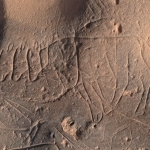 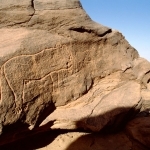 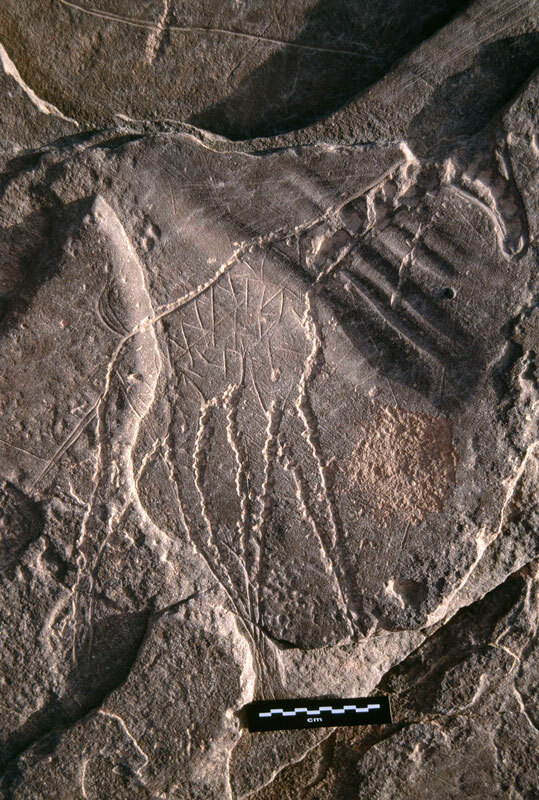 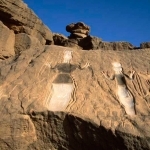 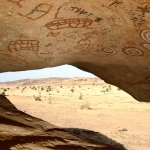 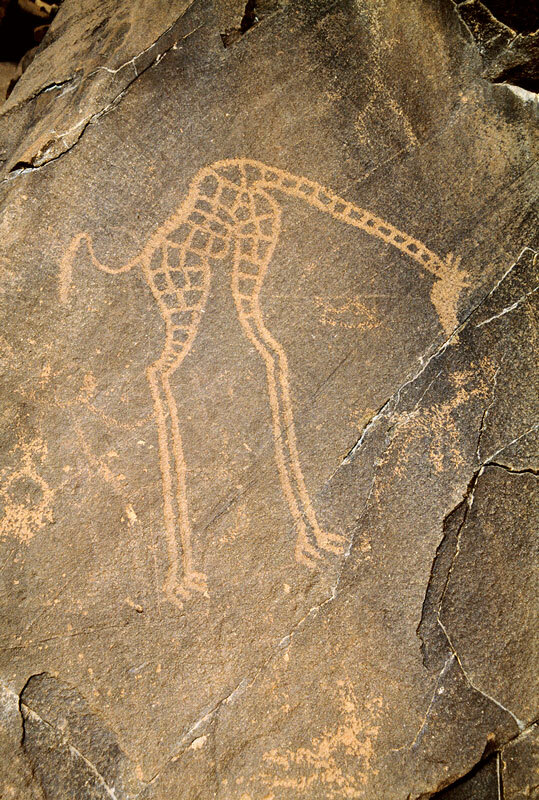 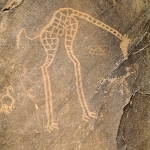 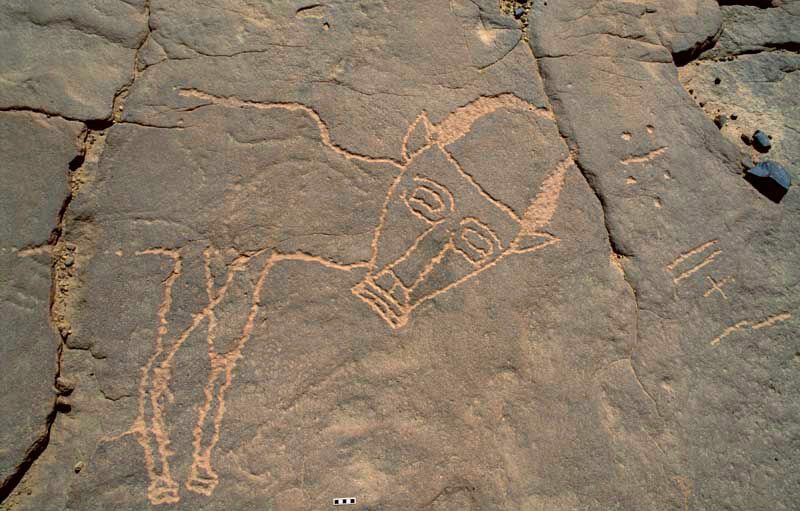 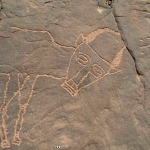 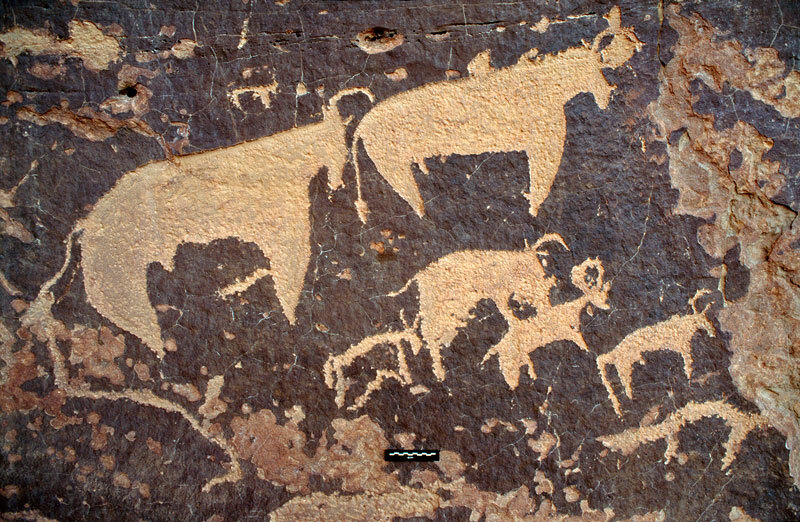 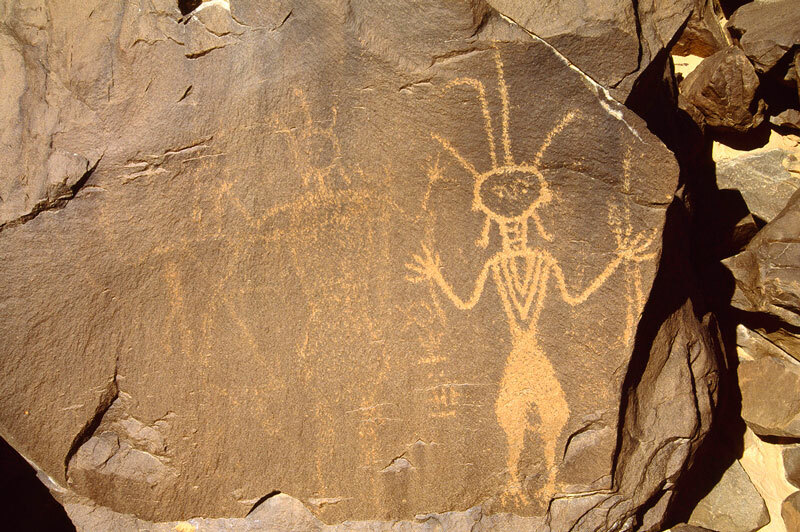 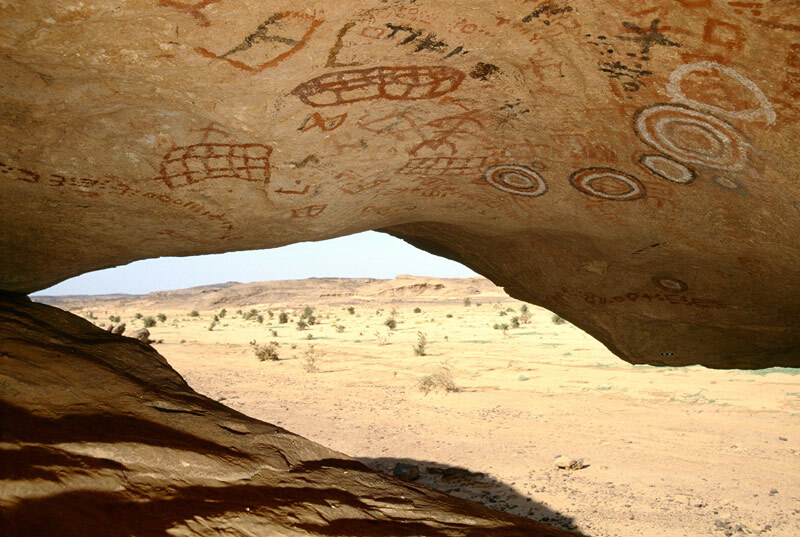 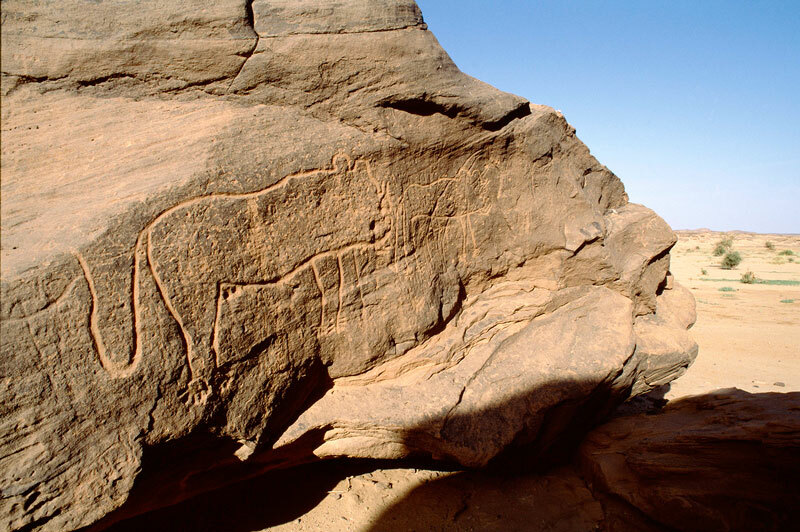 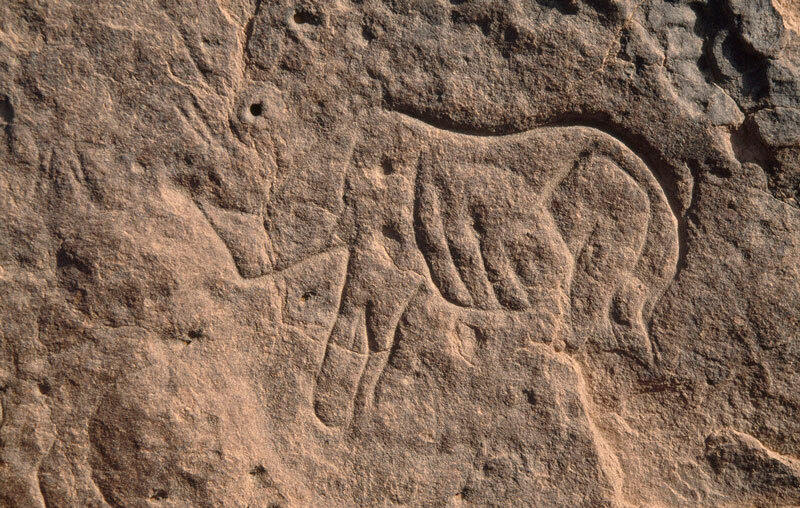 The richest rock art site in Niger is a site called Iwellene in the northern Aïr Mountains where some of the art is thought to be several thousand years old. 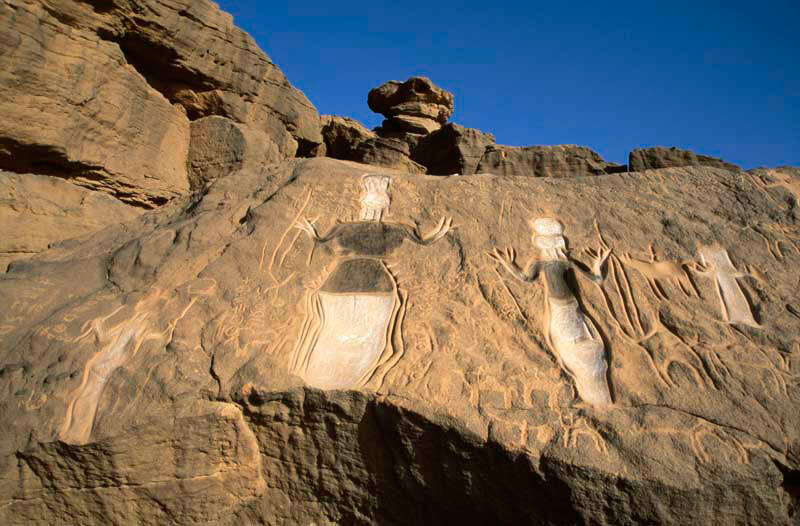 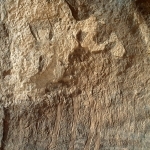 The most spectacular actual rock engraving/carving is at a place called Dabous to the west of the mountains. 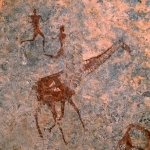 Here, two life size giraffe were carved on the top of an outcrop maybe 9,000 years ago. 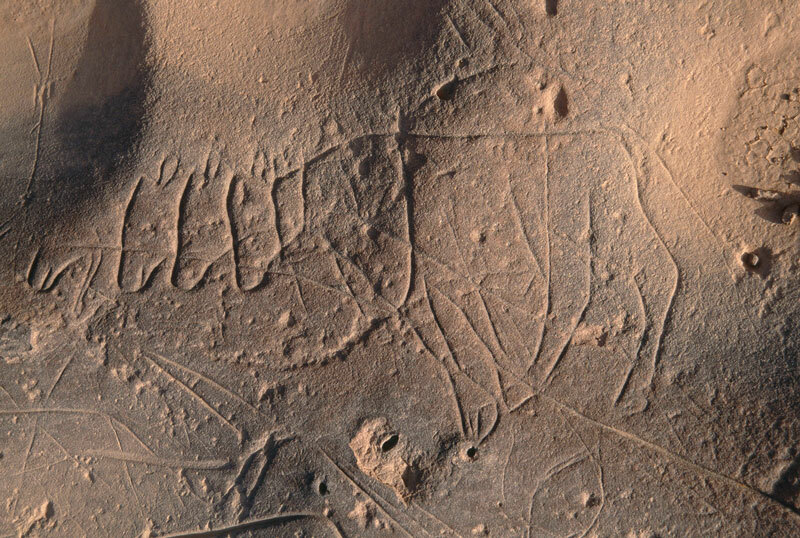 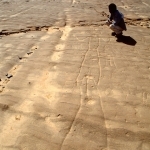 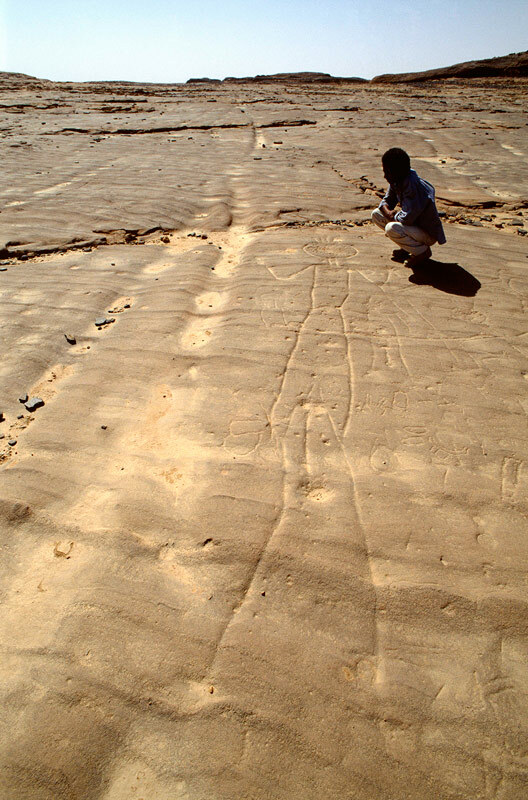 Another exceptional area for engravings is on the sides of two wadis (dry riverbeds) in the south eastern Aïr Mountains, namely at Tanakom and Tagueit.